Then select your device model and issue, so we can give you an estimate of the repair cost. After your device and issue has been selected and you’ve seen the repair price, fill out the quick request a repair form with your information and requested time you would like us to come. We will receive your repair request and our staff will confirm your repair request ASAP. Then our tech will come to your chosen location to do the repair. We stand behind our repairs with a 90-day warranty from the date of repair! Rest easy knowing that our technicians are fully certified and have repaired thousands of iPhones & iPads before yours! We only use premium grade iPhone & iPad parts to repair your device which are sourced from manufacturers who provide the highest quality available on the market. Getting your iPhone or iPad repaired shouldn’t break the bank. Our low price guarantee ensures that we always offer the best price to our customers. Below will give you an idea of some repairs we offer. Charging ports can collect dust over time that sometimes interferes with the charger. Charging ports are also one of the more common repairs because of their frequent use. People having a hard time hearing you? Homebuttons can fail. They can break with the drop. We can in most cases replace the button to gain push function but unfortunately touch ID can't be restored. Having a hard time hearing the person you're talking to? Camera not working? Camera blurry with blotches? Power button not responding when you press it? If your iPhone’s battery isn’t lasting like it used to, or is powering down or behaving erratically? If the Glass is cracked or touch is malfunctioning. Our prices are very competitive, with screen replacements starting at just $70.00. Add in the convenience that we come to you, and it means you can carry on doing the things you love while your mobile phone is repaired, at your home, work or even your favorite cafe. Payment is via credit or debit card (Visa, MasterCard, AMEX) or cash. For card payments, payment is made directly to the iRepair2go Repair Hero via a safe and secure card reader and is only made once your repair is complete and our Repair Hero has saved your day. 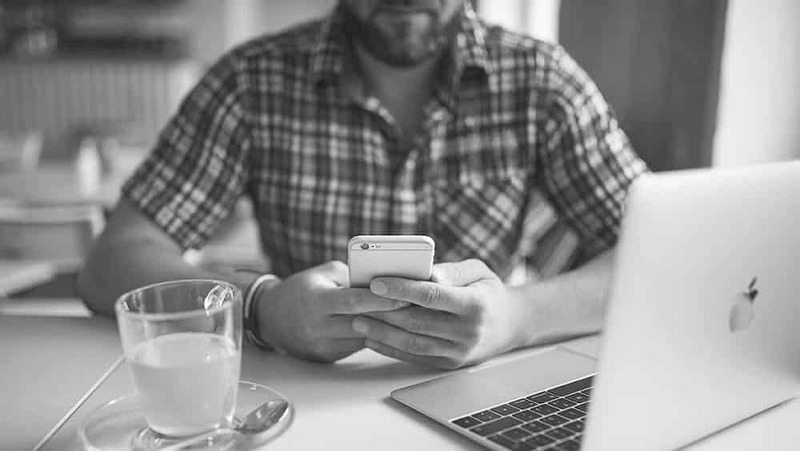 Our mobile iPhone repairs normally take 30-60 minutes, but depending on the mobile iPhone model and the extent of damage, some repairs might take 75 minutes while others take just 15 minutes. iPad Repairs are picked up and dropped off withing 36 business hours! Absolutely! We offer a market leading 90 day warranty on all our repairs. Full details of our warranty and warranty claim process are available here. In most cases the answer is a resounding yes! If you’d like your mobile iPhone repair or iPad picked up the same-day, we will do our level best to make this happen. Nowhere! iRepair2Go is an iPhone and iPad repair service with a difference – you can carry on doing the things you love while our iRepair2go Repair Hero comes to you. Don’t want to fix your iPhone or iPad? We will give you cash for your used or broken iPhone. Our Technicians are Ready to Fix Your iPhone & iPad Device! From iPhones to iPads, our Techs can repair your iPhone about 30-45 minutes at your home, office, or a neighborhood coffee shop. 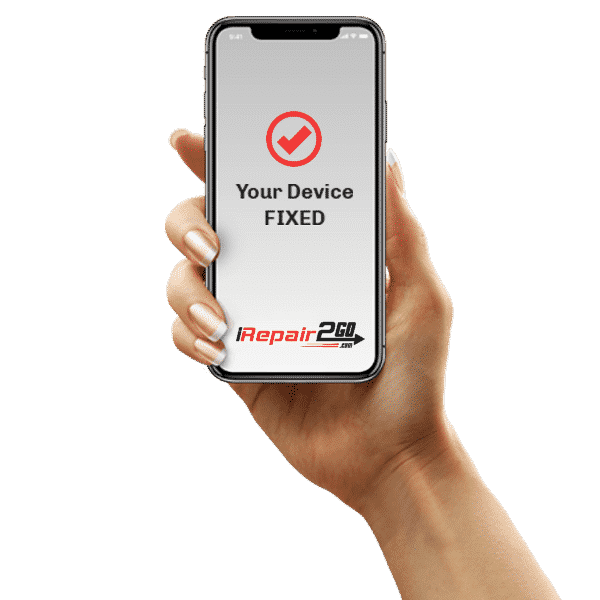 Setting the industry standard for mobile onsite iPhone & iPad repairs, the expertise of every technician is ensured through iRepair2go’s Certification program. Multiple interviews, background checks and certification requirements guarantee we are the best at repairing your devices. Rest assured that each repair made by your iRepair2go Repair Hero is at a location of your choice and is also protected with our 90 Warranty. Absolutely brilliant! As a cash savvy person I had looked around for competitive pricing to replace my LCD and glass for my iPhone, and not only was iRepair2go pretty much the cheapest, but they came to me. So I didn’t have to take time out of my day to traverse around to get my screen fixed! On top of all of this, I booked it today, and someone came TODAY! 45 minutes later it was fixed. It was absolutely worth it in every way. Thank you! Quick to quote and call back to confirm appointments that work – even turned up early and the job took just as long as they said. Easy to pay by credit card with square – options for offer – just an awesome no hassle way to deal with screen breaks quickly – in the comfort of your home or office. Thanks! We operate kinda like Shaw with offering a time window for arrival. Unfortunately with traffic & weather conditions we are unable to give a direct time. Tell us what issue you're having with your device. EX: Broken Screen, Charging Port, Battery etc. I understand that any faulty parts after being replaced, will be taken back by a iRepair2Go iSpecialist. I also understand that due to the nature of a cracked screen, the body's perfect frame is usually compromised and thus, slight imperfections might occur – such as the screen that is replaced, not being able to fit perfectly into the dented frame. For extreme cases, I understand that the iSpecialist will have to use tools to force the dented frame back into position, to allow the glass to fit in. This might compromise aesthetics over functionality but is otherwise necessary. The Dent fee is $10 per corner. Any purchased parts repaired or replaced by iRepair2Go are warranted against defects in material and workmanship under normal use for the duration of the warranty period. This limited, nontransferable warranty is provided exclusively to the customer who commissioned the repair and whose name appears in the invoice. If qualified, Battery Replacements come with a 30 Day warranty as long as we can verify a Certified MFI charging cable is used. We will also preform a test on the Tri Star charging IC to make sure the fault isn't coming from the motherboard. If the fault shows to not be a battery issue a $29.95 fee will apply for the techs time. All other repairs if qualified will come with a 90 day warranty. Note that having your device dropped and its screen cracked may have already voided its original manufacturer warranty. Any repairs not done by an Authorized Service Provider of the original device manufacturer would also constitute voiding of the original manufacturer warranty. iRepair2Go respects your privacy. Our privacy statement outlines our policy and responsibilities on the collection, use or disclosure of your personal information. iRepair2Go collects personal information such as your name, contact number, email address and payment information for purposes of data analysis, administration and disclosure to iRepair2Go iSpecialists and its relevant parties. If you no longer wish to receive promotional materials from iRepair2Go, you may unsubscribe from our mailing list by emailing us at info @ iRepair2go.com, and no further information will be sent to your email address. NOTWITHSTANDING ANYTHING IN THIS AGREEMENT TO THE CONTRARY, COMPANY WILL NOT BE RESPONSIBLE OR LIABLE TO YOU UNDER ANY CONTRACT, TORT, STRICT LIABILITY OR OTHER THEORY FOR ANY DAMAGES RELATED TO YOUR USE OF THE PARTS OR SERVICES, INCLUDING WITHOUT LIMITATION (A) FOR ERROR OR INTERRUPTION OF USE, LOSS OR CORRUPTION OF DATA, COST OF PROCUREMENT OF SUBSTITUTE GOODS, SERVICES OR TECHNOLOGY, OR LOSS OF BUSINESS; (B) FOR ANY INDIRECT, EXEMPLARY, INCIDENTAL, SPECIAL, PUNITIVE, RELIANCE OR CONSEQUENTIAL DAMAGES OR FOR LOSS OF PROFITS; OR (C) FOR ANY AMOUNTS THAT ARE IN EXCESS OF THE TOTAL AMOUNTS PAID BY YOU FOR THE PART OR ACCESSORY FROM WHICH SUCH DAMAGE AROSE. Some jurisdictions do not allow the exclusion of certain warranties or the limitation or exclusion of liability for incidental or consequential damages, AND Accordingly, some above limitations and disclaimers may not apply to you. To the extent that we may not, as a matter of applicable law, disclaim any implied warranty or limit liabilities, the scope and duration of such warranty and the extent of our liability will be the minimum permitted under such applicable law. Do You Want To Add Tempered Glass For 50% Off? Select Tempered Glass OptionYes, please!No, I'm a risk taker!